In his message which he wires to-day from Westport the " Herald" reporter shows that the man who assassinated Mr, Milling, R.M., in his residence must have first fired four shots through one window, and then when Mr, .Milling dashed out of the room and across the hall to the other room, the assailant outside on the street followed and fired again through the other window. At the inquest, which opened to-day, there were very few present except police, witnesses, and relatives of the deceased. The evidence of now the unfortunate gentleman was pathetic. To a neighbour who came to his rescue opened the hall-door, said ‘I am shot’, and collapsed. When his brother-in-law came to see him, the wounded and bleeding man said, ‘they’ve got me at last’. He also said he was dying. He suffered Agony before he died. In view of the cowardly and brutal murder at Westport, of Mr. Milling, the Resident Magistrate, the Irish Government have decided to declare the district of Westport a military area. Westport today presents an absolutely peaceful aspect. The military and outside police, who had been engaged in a house-to-house search of the town yesterday, have left. Save for signs of the mourning about the house of the late Mr. J. C. Milling, R.M, who was so mercilessly murdered on Saturday night, and the presence of two armed policemen in the vicinity., there is nothing to indicate that the place has been so recently the scene of one of the most callous outrages that has ever occurred in the West of Ireland. A look at the house is sufficient to indicate the doggedness of Mr. Milling’s assassin. On either side of the hall door is a bay window. The right window contains four distinct bullet marks, and the state of the left window proves that the deceased was pursued as he ran across the hall into the room at the other side of the house, for it contains another distinct bullet hole. This shows the fierce determination of the attacker, who outside on the road, followed his victim across the road. Westport I found greatly changed, as a result of the measures adopted by the British following the shooting of Milling, the R.M., in March, 1919. These included the banning of all fairs and markets in and around the town, which had been declared a martial law area. The result was economic depression, with several businesses nearly ruined and many employees gone to England and elsewhere. Much speculation was caused by the shooting of Milling and many theories were offered concerning the affair. One of the most persistent of these was that the shooting was done by the R.I.C. 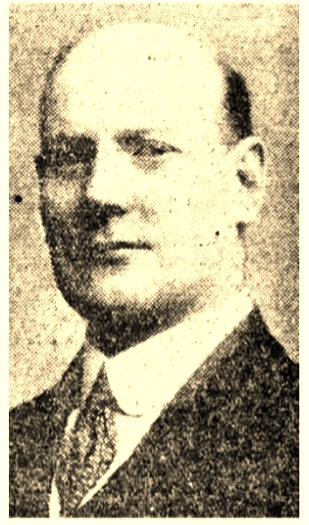 District Inspector of the period who was said to have established a liaison with Mrs. Milling. There is no truth in this. Milling was shot as the result of an indiscreet remark he himself made in the bar of the Railway Hotel, then, as now, occupied by the Jeffers family, who were English. Joe Ring was at this time awaiting trial on some political charge or other. I think it was on account of his resistance, on the occasion of a political meeting, to the R.I.C. efforts to break up the meeting. A Sergeant or Head Constable Sheridan was injured in the melee and Joe was arrested. It appears Milling remarked in effect in the bar in the hotel that Ring would be before him, Milling, the following week and that Joe would get a good long rest. The remark was, of course, relayed to Joe's friends, and on a Saturday night before retiring - 29th March, 1919, I think - Milling, while in an upstairs room putting forward the clock to summer time, was shot from the far side of the road. Three men took part in the shooting, and, if my memory is correct, they were Joe Gill, Joe Walsh arid Joe Ruddy, all Joes, and Ring was also Joe! The deed was probably decided upon by the I.R.B. We never talked much about it. Mrs. Milling and her family were in due course and process of law awarded £5,000 compensation, the entire sum to be levied on the Urban District of Westport. The Urban Council, rather than strike a rate, resigned in body, so there was no statutory authority left to collect Mrs. Milling's award. The British Government, no doubt, paid the compensation. The local police have no information so far in regard to Westport being made a military area, but during the night large bodies, of military were drafted into the town. Aeroplanes made a big display to-day. THE RATTLE OF A MACHINE GUN FROM ONE OF THE MACHINES FLYING OVER THE TOWN WAS HEARD ABOUT NOON. The police are still actively inquiring into the murder of Mr. Milling, R.M., but so far no arrest, has been made. The people of Westport express indignation that they are credited with any sympathy with the crime, the town itself being only a small area of the district in which Mr. Milling adjudicated. A special meeting of the Urban Council to strongly condemn the outrage is being held today at 4 o'clock. A malicious injury claim for £5,000 in respect of the murder has been made. Please accept my deep and heart-felt sympathy in the terrible loss you have sustained through this cruel and dastardly outrage. FRENCH (Viceroy). The " Evening Herald" has received several letters dealing with the shocking murder of Mr. Milling, Resident Magistrate, at his residence, Westport. In every one of the letters, which come from people representative of different classes in the community, the hope is expressed that the perpetrator of the crime will be speedily brought to trial. Feelings of consternation and horror have been universally aroused bt the cruel murder of Mr. R.C Milling, R.M at Westport. Public indignation has been stirred in a manner seldom witnessed and there is a deeply felt sense of sorrow and regret that such a dastardly outrage should occur to blemish the mane of a county that enjoyed a high reputation. While a great deal of mystery surrounds the crime, one fact is abundantly clear - the the perpetrators of the deed was actuated by force towards the ill-fated victim. Sinn Fein is to-day faced with new and serious, and, in many respects more difficult, problems than any it has yet encountered. The difficulties are the difficulties of success. Every effort will be made by selfish and interested persons to secure the influence of the dominant movement for selfish ends. "Men on the make" will cling on to the organisation and will endeavour to float into power and position upon its strong tide. Others will exploit and use its propaganda and its atmosphere to secure trade and business. The day that any of these things are permitted then begins the dry rot that will kill the movement. So far the brave and tried men who control and direct the organisation have sternly set their faces against all this intrigue, exploitation, and spirit of selfishness. They are inspired by too high motives; they know Irish history and human nature too well to tolerate such attempts. 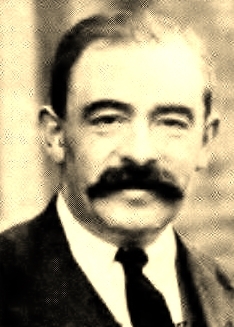 Pearse, McDonagh, Connolly, and the rest did not give up their noble lives ; Eamonn de Valera did not risk his life against the mighty forces of the British Empire ; Griffith did not work for two decades tirelessly, brilliantly, and unrewarded ; Pierce McCan and Thomas Ashe did not die in British prisons to get men jobs, to secure trade and business for any individual to get farms or money for persons or classes. They were out for a greater object—the independence of Ireland. Never should this movement that has truly brought a soul into Ireland bo perverted from its high purpose. It is not the movement of a class or a sect; it is the movement of the Irish Nation. It recognises no difference of creed, clasp, or individual. It demands the support of every genuine Irishman. It promises no power or place in return. As the National movement it should be supported, and let every individual develop his business, or improve his personal position as best he may, but without daring to use the Sinn Fein Movement for any selfish erds. There is grave danger and the movement must be alive to the realities of the situation. Sinn Fein has long stood for competitive examination for public appointments. In due course it will, doubtless, apply this policy. It will certainly put an end to much cf the rottenness and intrigue that have scandalised public life. Efficiency will be the only test. Meantime, we repeat that the objects of Sinn Fein must be kept steadily before our minds, and that he who attempts to iimo the movement for any selfish ends should be regarded as an enemy of the people. Ireland is a country of strange contrasts. The present commander of the British forces in Egypt, Sir Edward Bulfin, is nephew of the late Mr. W. Bulfin, Derrinlough House, Birr, and first cousin of Wm (Senor) Bulfin, who wrote the famous " Rambles in Erin." The latter's son was recently interned in England, and is now about to be deported from Ireland. One is the Irish rebel, to be banished from his country ; his cousin is the knighted military leader, the organiser of Empire. Mr Jack Jones, the miner M.P., who is a native of Nenagh, has been making his voice heard in Parliament during the week. He has been a strong advocate of the claims of Irish nationalism, delivering in Thursday night's debate what the "Freeman" calls " a powerful speech in support of the Irish case." He left Nenagh at an early age, and is a self-made man. His father died here a few years ago.